Fits All Types of Phones Even with a Phone case On. 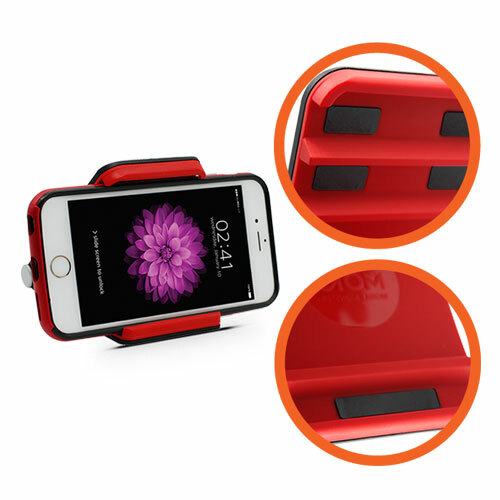 Easily removable with one hand Navigation and cell phone operation are possible. 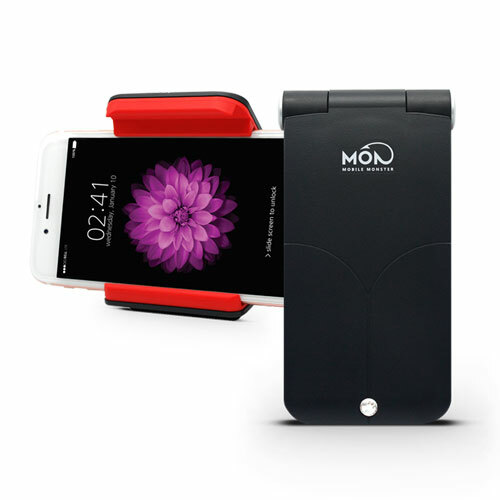 You can mount your phone even with the case attached to the smartphone. Magnets can damage the rear camera's autofocus and other sensors. 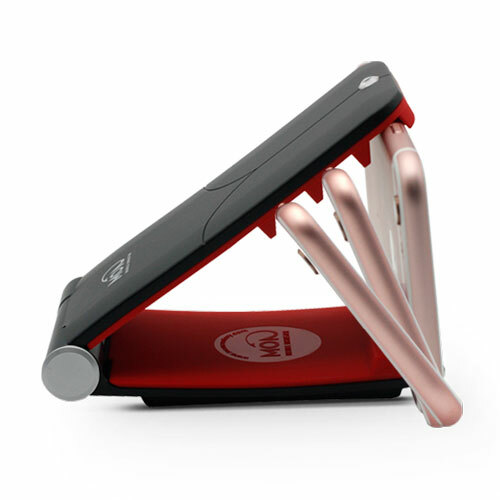 Easy to Put on and Remove Smartphone by One-hand. Protect your smartphone even on unpaved roads. Mount your phone powerfully in the car phone holder. Anti-Slip pad applied inside of car phone holder. 3-step Mounting Angle Adjustment Designed for convenience of user with all phones. - Non-Magnetic - Will Not Damage rear camera’s auto focus and other sensors. 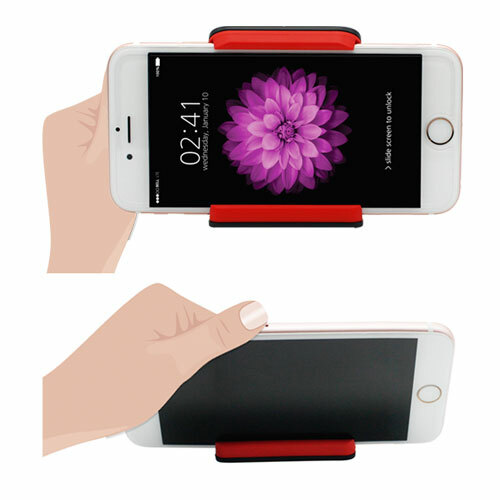 - Anti-Slip Pad - Mount your phone powerfully in the car phone holder. Anti-Slip pad applied inside of car phone holder. Works absolutely great! After purchasing and returning three previous phone mounts, this holder is the best; mounted to stay out of the way and super easy to install and use. So today I have gotten this product in the mail and I have to say that this is an outstanding product! It holds my phone just right, it sticks onto my car top, and it allows me to fully see my phone screen without any obstructions. Definetly recommend this product to others! this product is great, especially for the price. The design and color matches with my car perfectly, and it does not feel cheaply made at all. In fact, it actually feels pretty sturdy. The design is extremely unique, and very convenient at the same time. This is definitely a bang for your buck! I give this item a 5 star. Simple to setup and use! In addition, The item received was delivered on time. I purchased this phone mount for my Samsung Galaxy Note 3. Being a larger phone, it can be difficult finding accessories that will properly accommodate the size. This mount fits perfectly. I would recommend this item to anyone. It's so easy to mount my phone when I'm driving. 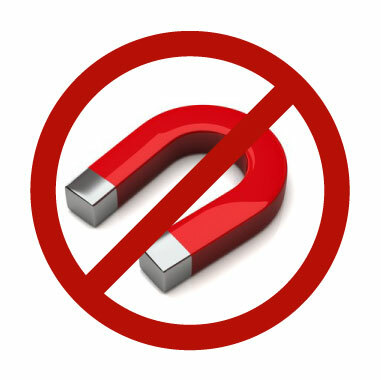 As I know, Chances are Magnetic things damage my cellphone. In addition, It's cheaper than I expected. So I chose this. 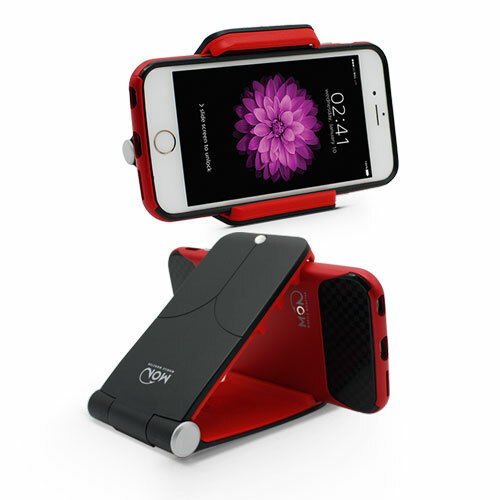 When trying the product, I was surprised about how convenient it was to put the phone onto the mount. With the three openings providing different angles, I had an easy time adjusting my phone how I wanted to. My phone always stayed attached to the mount, unlike other mounts I've bought in the past. This is overall a great product to have! And Also I don't need to worry magnetic damage!!!! !